Services |Mawicke & Goisman, S.C.
Mawicke & Goisman, S.C. provides comprehensive legal services to serve all of your business needs no matter what stage of growth you’re in. The creativity and experience of our attorneys is shown in their dedication to our clients and has solidified the firm’s reputation as a results-oriented firm counseling a wide variety of business clients, both large and small. Should you require international assistance, our membership in MSI Global Alliance — an international association of leading independent law and accounting firms around the world — is there to help. MSI is London based and has over 250 member firms located in 105 countries, providing its members with immediate access to worldwide legal markets. Let us be of service to you! Contact Us today to find out how we can help you and your business succeed. 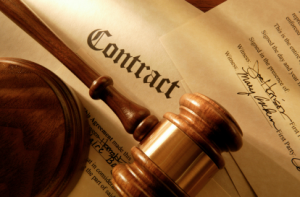 EMPLOYMENT LAW UPDATE-Should Your Company Use Employment Arbitration Agreements? EMPLOYMENT LAW UPDATE-ICE Aims to Visit 5,000 Workplaces in 2018-Are You Prepared?